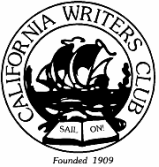 The California Writers Club is dedicated to educating writers of all levels of expertise in the craft of writing and in the marketing of their work. The century-old club has 22 branches throughout California with about 1800 members. The High Desert Branch was founded in October of 1990. Our members and guests gather in a friendly, open atmosphere of desert hospitality. We are dedicated to learning and teaching the skills and techniques of writing. Our membership is involved in poetry, screenwriting, horror, fantasy, sci-fi, biographies, memoirs, romance, historical novels, journalism, fiction and non-fiction. All genres and writing interests are encouraged. at the Community Church at Jess Ranch. For more information, contact President Rebecca Kosko. Branch By-Laws are linked here. The California Writers Club is a 501(c)3 non-profit organization. The HDCWC does not collect your personal information when you visit this website. Information is collected if you register for a conference or special program, or if you join the club as a member. This information is for internal use and is not sold or distributed to others.